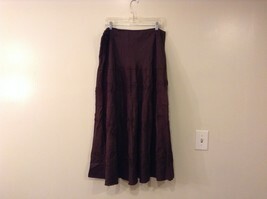 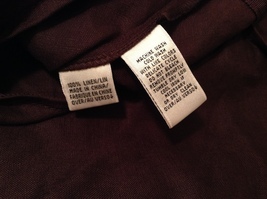 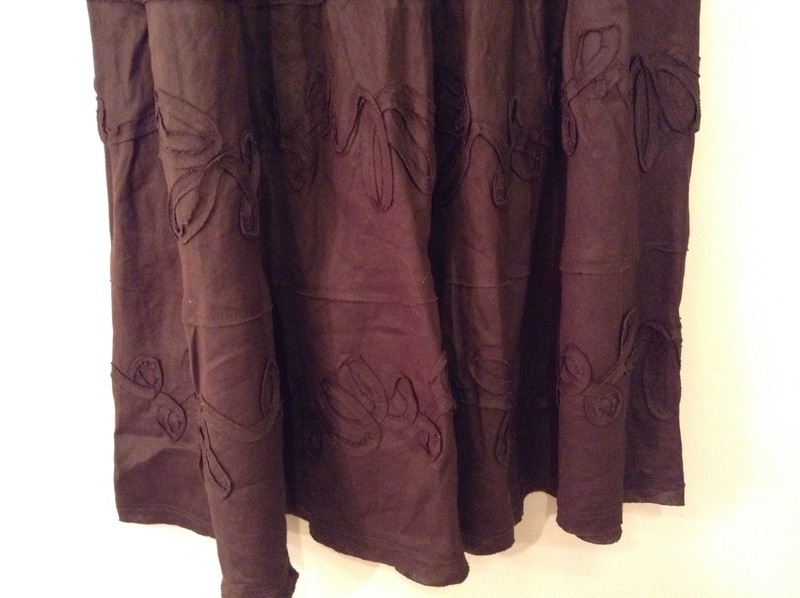 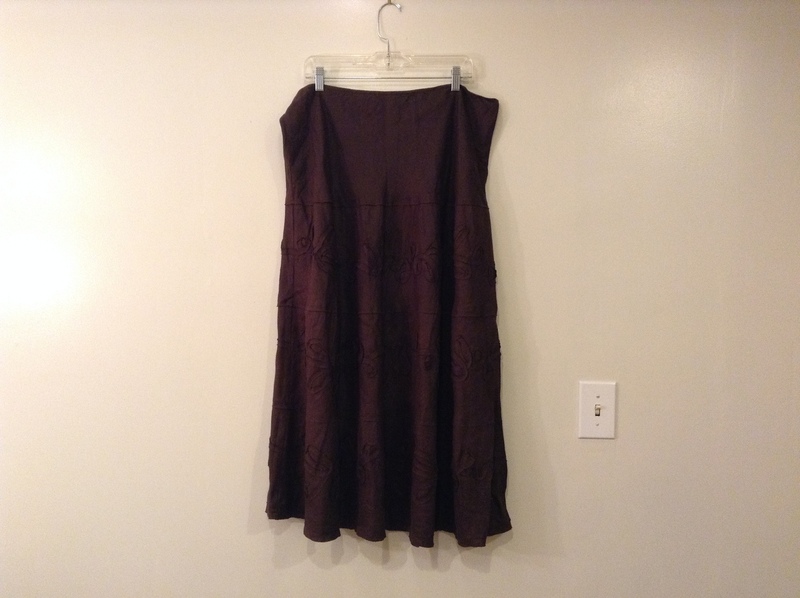 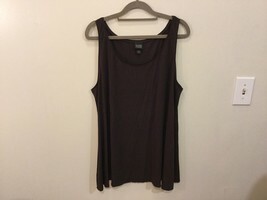 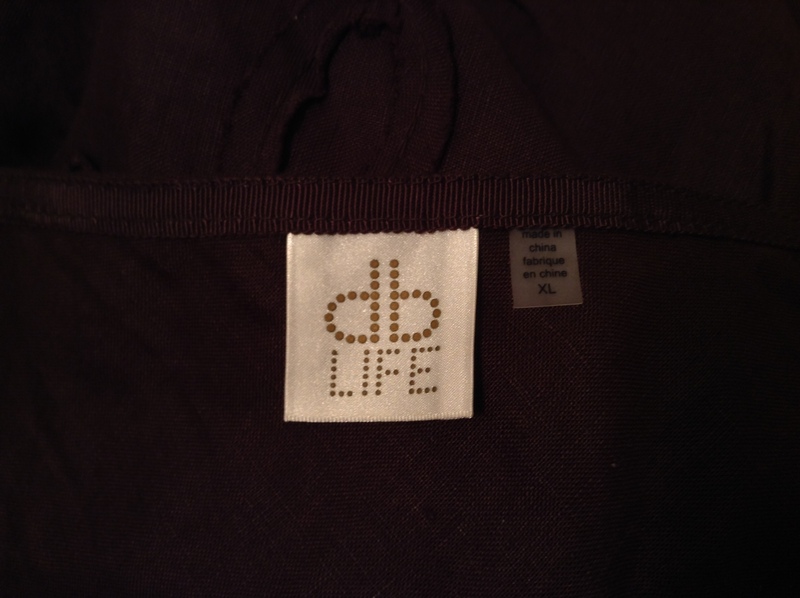 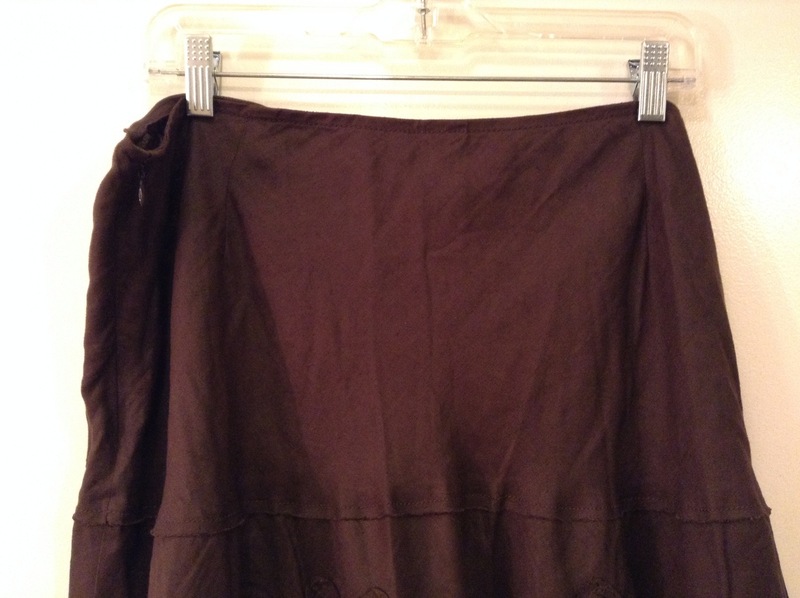 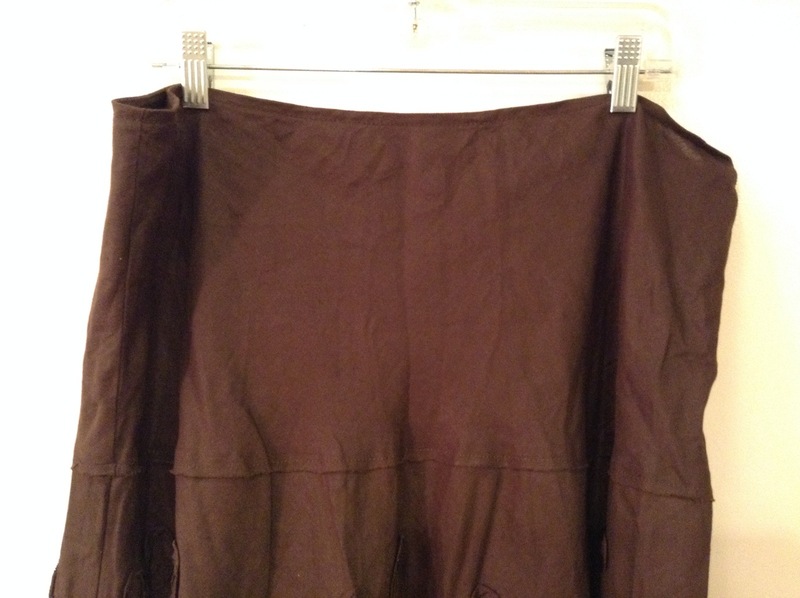 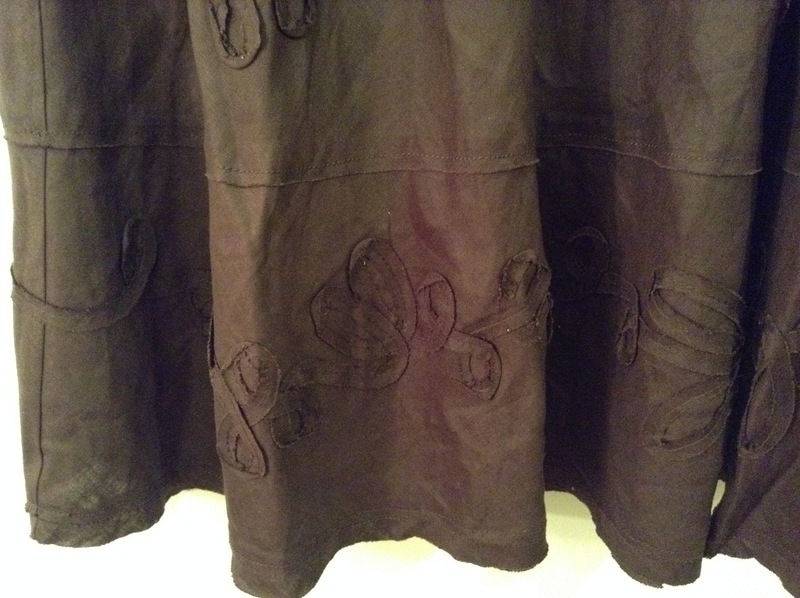 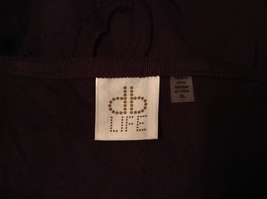 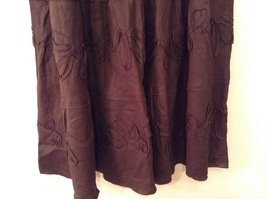 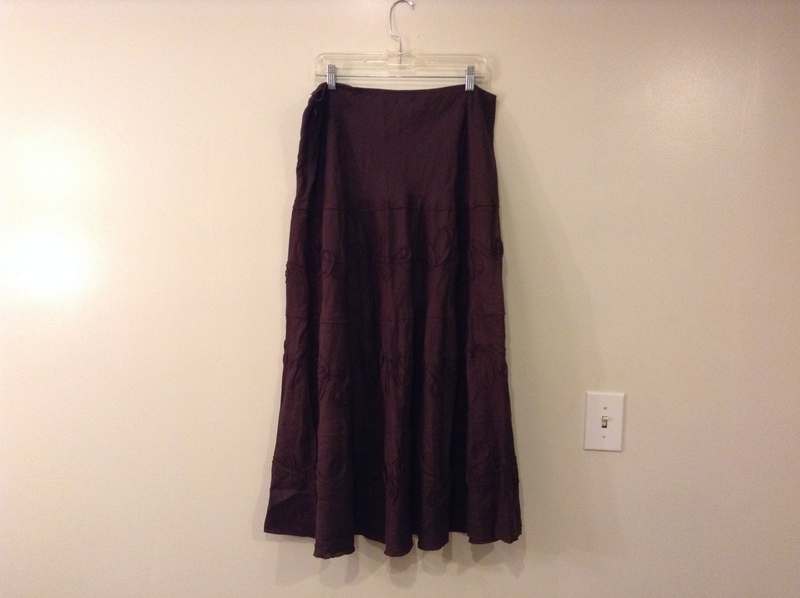 DB Life Dark Brown Chocolate 100% Linen Long Skirt, size XL. 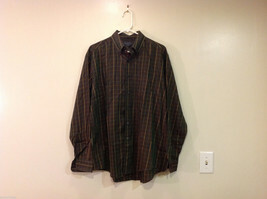 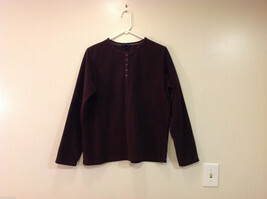 Side zipper, waist in NOT elastic, no pockets, no lining. 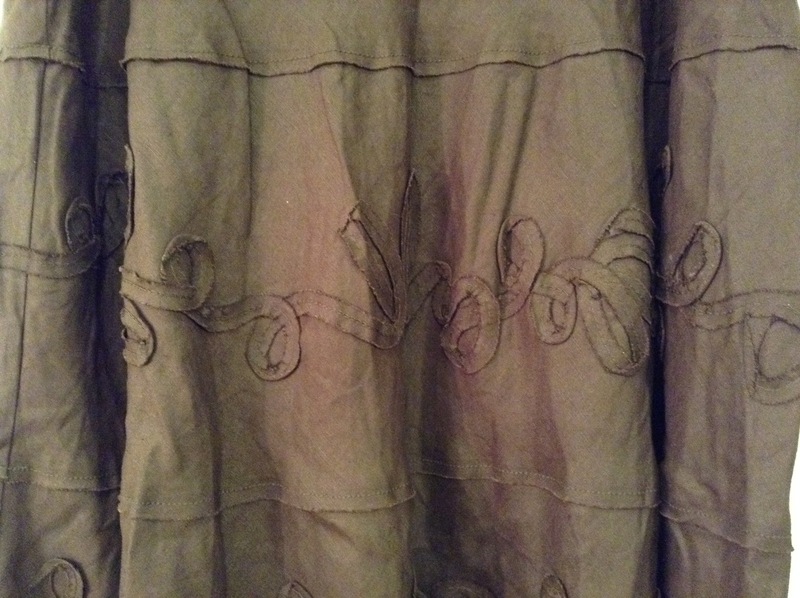 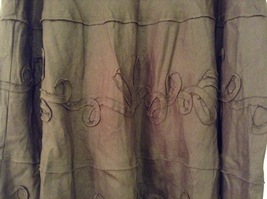 Decorative floral rope design. 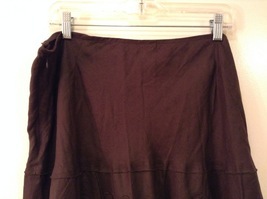 A-line shape. 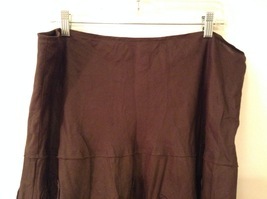 Length (waist to bottom) 38 inches.